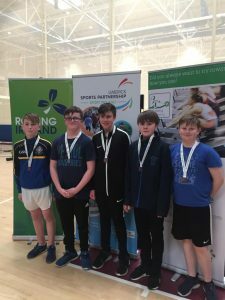 Over 80 students from St. Anne’s attended the Limerick Schools Indoor Rowing competition in the University of Limerick on Wednesday 7th March. The competition is team only with teams of five rowing 2 km on ergometers in 200 meter intervals, each person going twice. The fastest time wins. 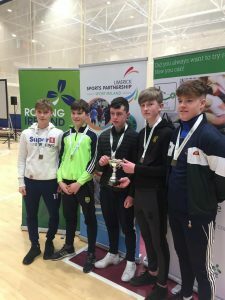 This competition is on the back of “Rowing Ireland” founding a rowing coach, Ger Hayes, for St. Anne’s for over 3 months to work with PE classes for all year groups. The school was very successful with 5 teams getting medals and St. Anne’s winning the best overall school award. 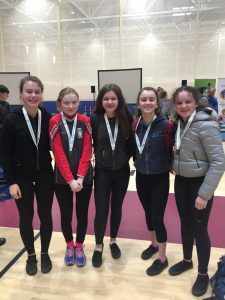 Congratulations to all the rowers who attended the Limerick Blitz. #getgoinggetrowing. 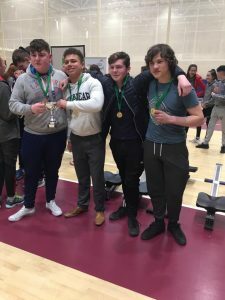 By killaloeteacher in Other on March 7, 2018 .